The QR Code (Quick Response) barcode is a 2-dimensional barcode consisting of black square patterns on a white background. The barcode is capable of storing more information than a conventional barcode. It is developed by Denso-Wave in Japan and is one of the more popular 2-dimensional barcodes. Another reason for this barcode popularity is because it is adopted by many mobile or smartphone applications for linking physical world objects to a web URL (Uniform Resource Locator). This is a professional True Type (TTF) barcode font that is used to create a QR Code barcode by selecting a font in your favourite text editor. The package includes a standalone encoder, a .Net Dynamic Link Library (DLL), true type font for creating a QR Code barcode that strictly adheres to industry specifications. The QR Code is able to pack large amount of data using the various compaction methods. Each of the compaction method is optimized for a specific type of data. For example, the Numeric method is optimized for numbers. The ConnectCode encoder automatically scans through the data and detects the most optimized compaction method. On top of that, it also switches among the different compaction methods if one method is unable to fully encode the data. Numeric - Optimized for numbers. Alphanumeric - Optimized for numbers and alphabets. This compaction method is less optimized than Numeric. Binary - Optimized for any 8-bit binary data. Kanji - Optimized for Kanji data. The following sections detail the different configurable parameters of the QR Code barcode. If you are new to this barcode, it is recommended that you use the default or automatic settings mentioned below. QR Code uses the Reed-Solomon error correction technique. This allows the barcode to be partially damaged without causing any loss of data. There are four different levels of error correction that can be chosen. The higher the level, the more resilient the barcode is to withstand damage. However the drawback is that more data codewords in the barcode are needed to store the error correction codewords instead of the actual data. QR Code's reliability can be improved by a method called masking. Masking regularizes the distribution of the black square patterns. Different types of masking patterns according to the specifications are supported by the ConnectCode QR Code. The default automatic masking option is recommended if you do not want to delve into the technical implementation of the barcode. The following is the description of the QR Code barcode font used by the encoder or .NET DLL. CCodeQR Standard QR Code Barcode Font. Note : You may see spaces between multiple Rows when you use the QR Code barcode fonts in certain font sizes. The spaces can be easily removed by increasing or decreasing the font size by 1 point. 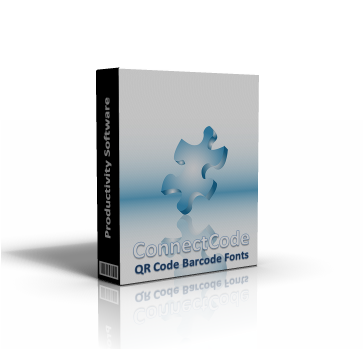 The QR Code Barcode Font package in ConnectCode comes bundled with a Font Encoder that allows you to encode the barcode quickly and easily. This is useful if you like to encode a single barcode to be pasted into your brochure, on packaging or product items. The Encoder supports all parameters as described in the sections above. The Error Level and Mask are parameters that are supported (see previous section for detailed description).. The Font Name and Font Size in the "Output" section can be changed after the QR Code barcode is created. This allows the height and the size of the barcode to be changed after the barcode is created. The "Show As Text" option allows you to see the text output of the barcode in a normal text font. The "Copy Barcode" button allows the barcode to be copied and pasted onto other applications easily. 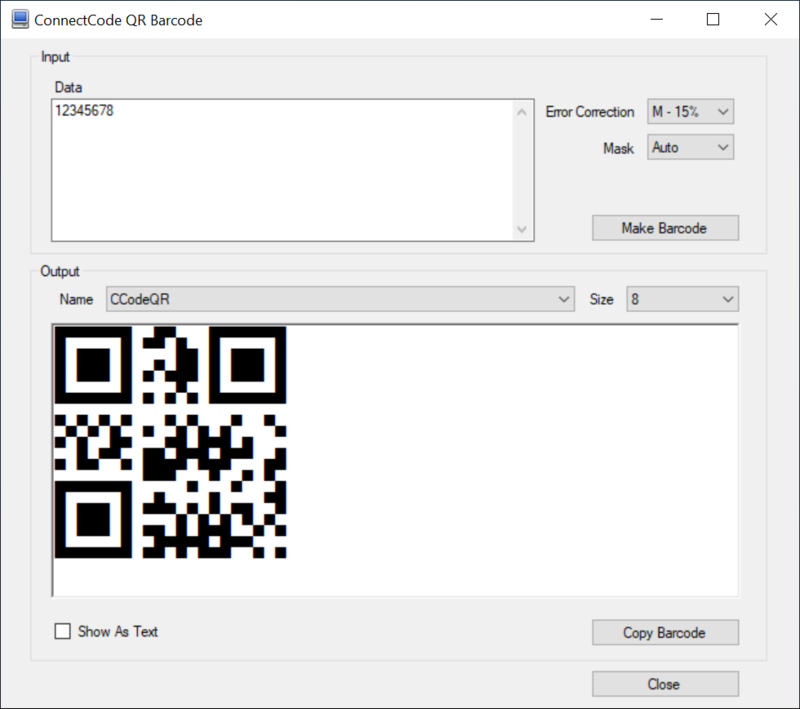 A .NET Barcode SDK is also bundled in the ConnectCode QR Code Barcode Font package. This SDK can be bundled in your applications if you purchase the necessary distribution licenses. This is the constructor for the QR barcode. It is used for initializing the QR barcode. data : The data input string to be encoded as a barcode. errorcorrectionlevel : The Error Correction Level "L", "M", "Q" or "H". mask : Mask Pattern. Any number from 0..7 or 8 for Auto. This function encodes the barcode based on the parameters specified in the constructor. The result will be returned as a string. The Encode() function may return an empty output string either due to invalid inputs or the length of the data exceeded the length specified by the QR Code specifications. A call to this function after the Encode() function allows you to determine whether the data length has exceeded. 4. Requirements - .NET 2.0 and onwards, Visual Studio 2005, 2008, 2010, 2012, 2015, 2017 and onwards. 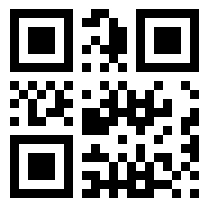 Note - Users of QR Code v1.0 - 2.5, please contact us for your free upgrade. Install the Barcode Font Encoder on your system. Install .NET DLL and help file on your system. Install True Type fonts on to your system with your permission. During installation you will be prompted whether to allow the installer to copy the fonts into your "C:\Windows\Fonts" folder automatically. On your system, go to "C:\Program Files (x86)\ConnectCodeQRCodeTrial" or the location where the software is installed. Click on the "Yes" button followed by the "Uninstall" button. This will uninstall all the fonts and software on your system. Important : It is recommended to close all other applications before proceeding with the installation. The reason is because the installer set up the barcode fonts by copying the files into the Windows fonts (C:\Windows\Fonts) directory. Some software applications may be using Windows fonts and this may block the Copy process. If you are in the middle of the installation process and notice that the installation has stalled, simply shut down other applications to let the installation resume. For Windows Server 2003/2008/2012/2016, it is recommended that you choose "No" when the installer requests to setup the fonts for you automatically. After the installation, follow the steps below to setup the fonts for your server. Click on the Start button and click Run. In the List of fonts box, click the font that you want to add. You can add all ttf (TrueType fonts) files in the ConnectCode directory. To select more than one font at a time, press and hold the CTRL key while you select each font. Click to select the Copy Fonts To Fonts Folder check box. How do I install the barcode fonts on my PC manually? The steps below are optional as the installer will be automatically setting up the fonts for you. Right click on the Start button and click on Open Windows Explorer. Using the Windows Explorer, go to the directory C:\Program Files\<ConnectCode directory>. With the above setup, the barcode fonts can be used by all applications on the PC such as Microsoft Excel and Microsoft Word.